Do you have up to date marketing material for your stand? Is the booth artwork up to date or are you looking at new ways to promote? Are you thinking of giveaway merchandise? How do you intend to grab business cards and necessary info from potentially new clients? What about a video promoting the company? These are just a few things to consider when organising a booth. Driving traffic to your booth requires planning ahead. 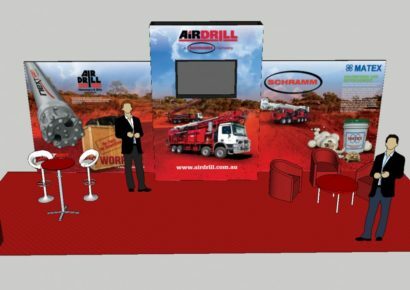 It is vital that you know your audience and what will make them draw their attention to your booth. Your booth needs to be neat and eye catching! At Indepth Design, we can assist you right from the beginning of the process, by assisting with the planning and preparation of your next conference or expo! Attracting the right clientele for you is what we do best! Let us help you in providing the right solutions to promote your business. We have the experience in setting up and promoting you with award winning displays and the marketing material to match.